The Wichita Eagle first noticed tweets coming from an account linked to Barris on Friday. The 25-year old man’s case received national attention last year after Andrew Finch, 28, was shot and killed by Wichita police responding to an emergency call. Police claim that the incident was sparked by a heated interaction in the online game Call of Duty. The crime is commonly referred to as “swatting.” When reporters noticed tweets coming from the Barris-linked account, they found it odd, especially considering that the tweets were threatening to commit the same crime again. It’s unknown exactly how many inmates got onto the internet or what they did. The Sheriff’s Office said 14 inmates had access to the kiosk in question before the vendor learned of the breach. Kiosks at the county jail are used by inmates to check their balance on accounts used to buy items from commissary, as well as to send electronic messages, but inmates are restricted from going online. The sheriff’s office told local news outlets that it’s unclear how many inmates took advantage of the internet access or what they did online, but the kiosk has been tested and the problem has been resolved. They also claimed that the vendor issue occurred at other jail kiosks across the country. 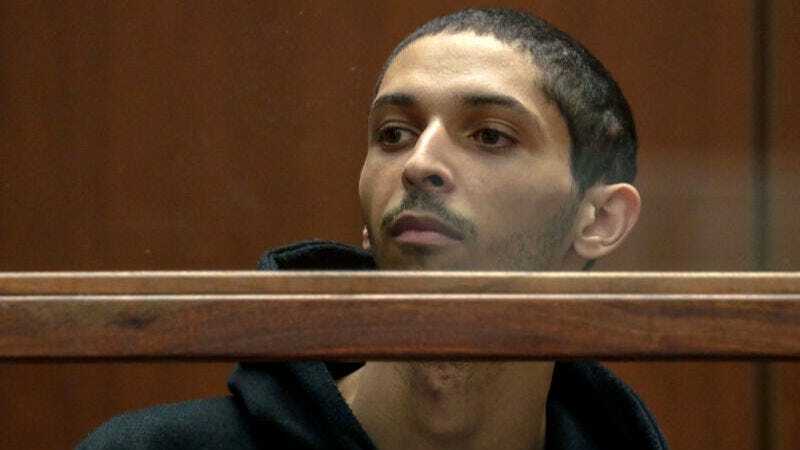 The breach of protocol is an embarrassment to local authorities who have faced a public outcry from the family of the man who was killed in the swatting incident. Barris is said to have made the call that led police to Finch’s home in Kansas. When Wichita police arrived at Finch’s house, he walked outside to see why police were at his home and one officer shot him. Finch’s family wants the officer to be held accountable and has gone as far as paying for local billboards that read, “Andy Finch is dead. If you believe in justice, it’s time to file charges.” The case is still under review by authorities. The family has filed a federal lawsuit against the department. If it’s proven that Barris is responsible for the tweets, they certainly won’t do his case any favors. He could face 31 to 136 months in prison if convicted of felony manslaughter.